“Apples and Pottery”, oil on canvas, 16” x 14″, signed lower left. Original Berry Hill Galleries, NY exhibition label verso. 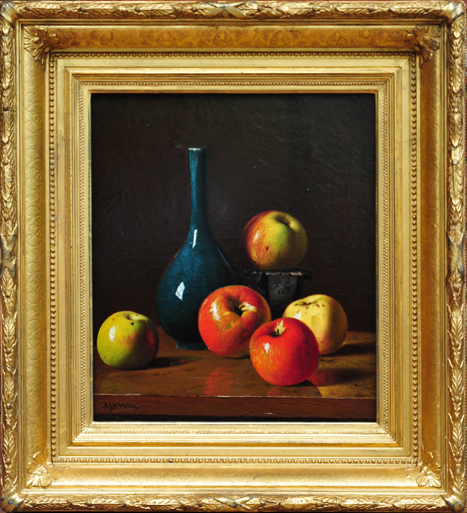 “The Apple of America-The Apple in 19th Century American Art”, May 6-June 26, 1993. Original period frame. The painting and frame are in excellent condition.